A Midlands property lawyer has rolled with the punches and raised hundreds of pounds for charity following a white-collar boxing event in Birmingham. 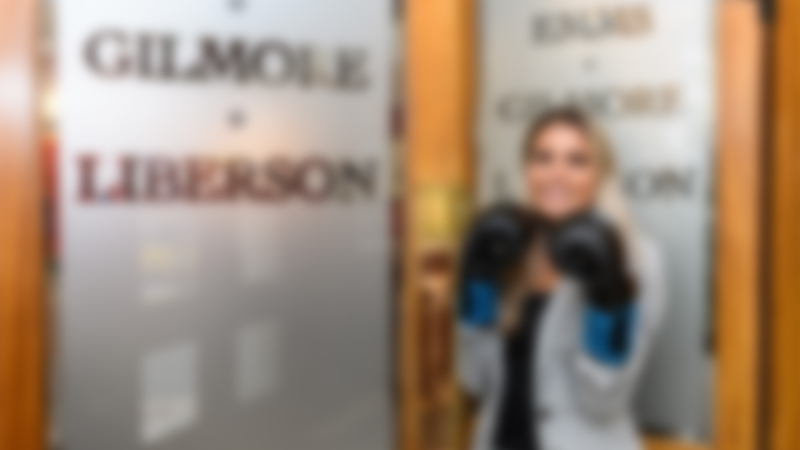 Tona Zefi, an associate solicitor with Emms Gilmore Liberson, bobbed and weaved her way through three rounds of Ultra White Collar Boxing (UCWB) in front of a large ringside audience at Edgbaston Stadium. It is the latest charitable exploit for fitness fanatic, Tona, who has raised funds for a host of local and national charities including Birmingham Children’s Hospital, Breast Cancer UK and Macmillan Cancer Support through sports-based events. The lawyer, who assists EGL’s commercial and property litigation teams, took on the boxing challenge after losing a friend to cancer last year. Tona said: “Thankfully I’m alive and well! I had such a good night and was given so much support from friends and family who have all donated generously. UCWB is Cancer Research UK’s biggest fundraiser, raising over £10 million for the charity through more than 1,000 white-collar boxing events since 2009.